Q-Iman is proud to present another amazing seminar. The Rise and Fall of Iblis. 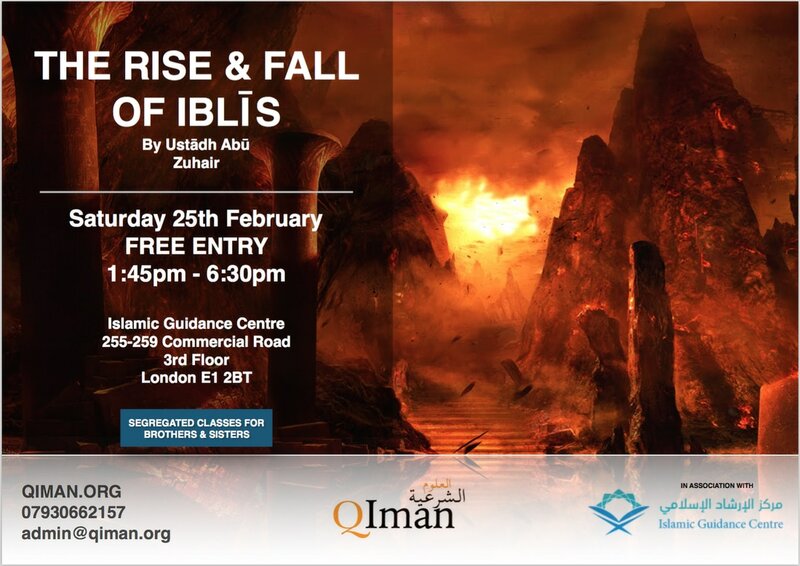 Covering the whole story of Iblis; who he was, his rank in the eyes of Allah the Exalted, his relationship with Adam and Eve, what caused him to be cast out of paradise and into the Earth, and what lessons we can learn from his story. Also, we will cover the story of ‘Genesis,’ the origins of man. Segregated facilities for men and women. Register below to secure your place!